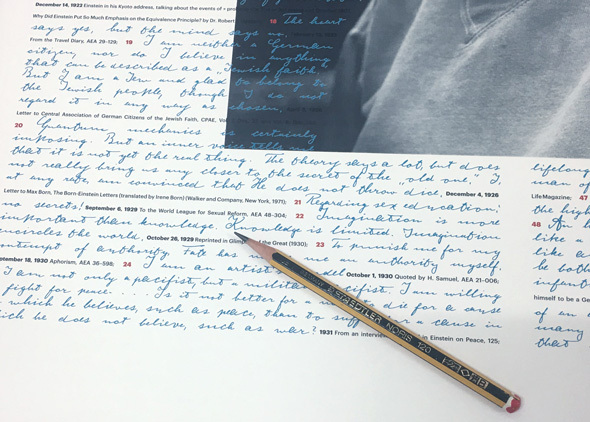 In 2017 I created a font based on Albert Einstein’s handwriting. 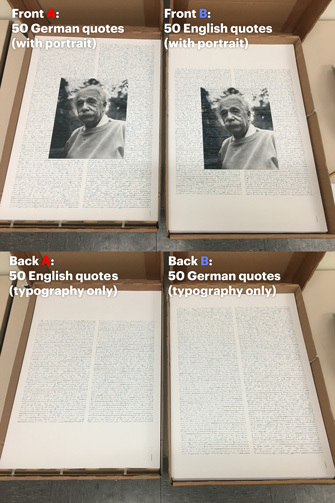 Here I like to share with you a project that I created with the font: a set of four posters with 100 quotes from Einstein. Quotes can give an inspiring and entertaining view into a persons life. 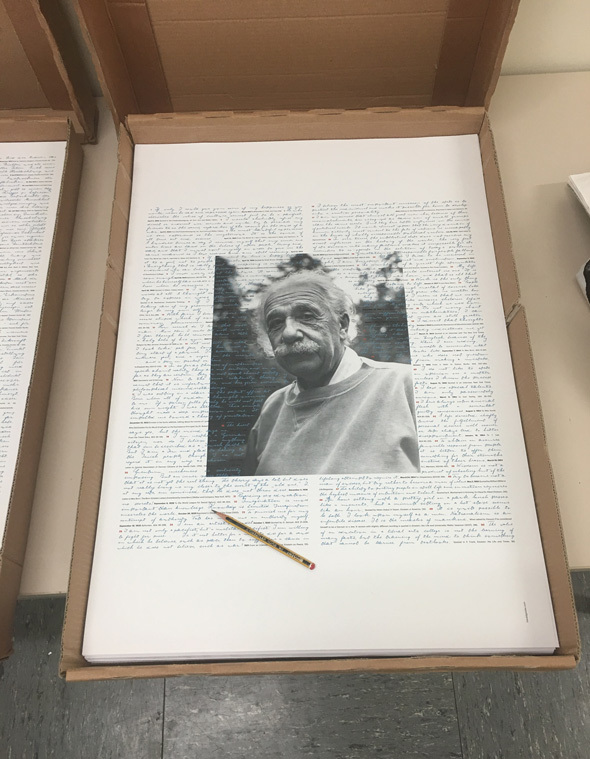 Each is printed in the original size of Einstein’s handwriting, arranged in chronological order and with detailed information about the quote’s source. You will receive four prints on two sheets, shipped in a strong protective poster tube. This poster was originally designed as a reward for backers of the Albert Einstein font Kickstarter campaign that financed the production of the Albert Einstein font.